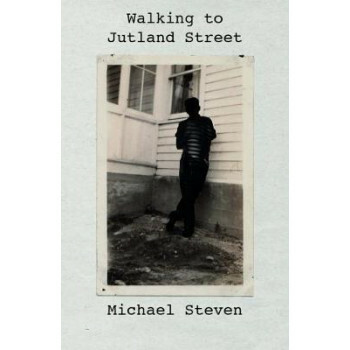 Walking to Jutland Street is the impressive first book-length collection by up-and-coming Auckland-based poet Michael Steven. The title refers to Dunedin's industrial wharf precinct where some of the poet's friends shared a flat in 2010. A poem about friendship in the face of the other, `Walking to Jutland Street' vividly recreates their evening `constitutional' from the flat via the bridge over train tracks to the city and back, with its inebriated, surreal, sometimes nightmarish inhabitants. Other poems deliver snapshots of the human condition through bizarre personalities such as the subject of `Dropped Pin: Jollie Street', `a man who proclaimed to function / best in a state close to coma'. Still others are tender love poems, travel poems (in 2016 the poet slept in the last bedroom of explorer Vasco da Gama), poems about family or childhood memory. A poet of gritty, day-to-day urban New Zealand reality (whether depicting teenage drug dealing, alcoholics or the night shelter), Steven is equally a writer steeped in literary tradition, Buddhist mysticism and world-historical narrative. His is a voice that aspires to capture quotidian experience or personality as a phenomenon implicitly of all times and places. In this pursuit, his literary cousins are Olds, Orr, Mitchell, Dickson, Johnson and Baxter.